We know that government data tends to lag the "real time" information we get on same-store sales day. 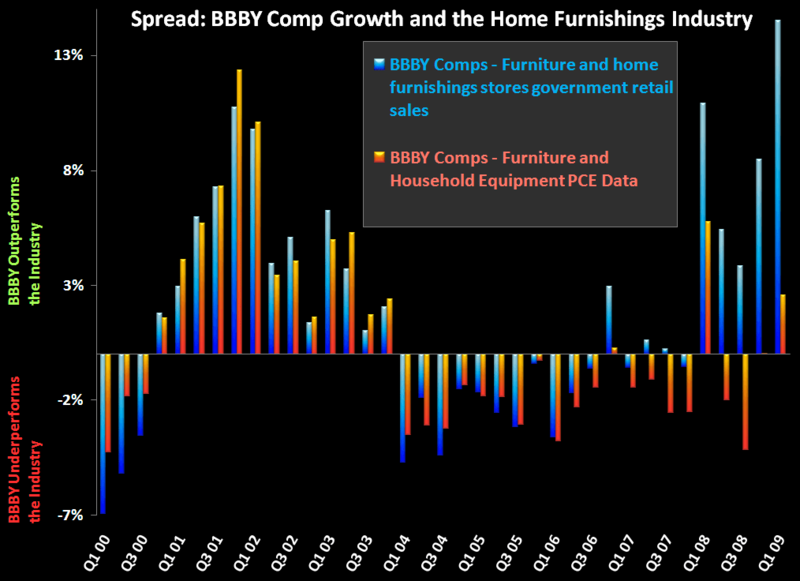 However, it's worth taking a look at the latest chart tracking home furnishings' sales, which was updated this morning with the June report. 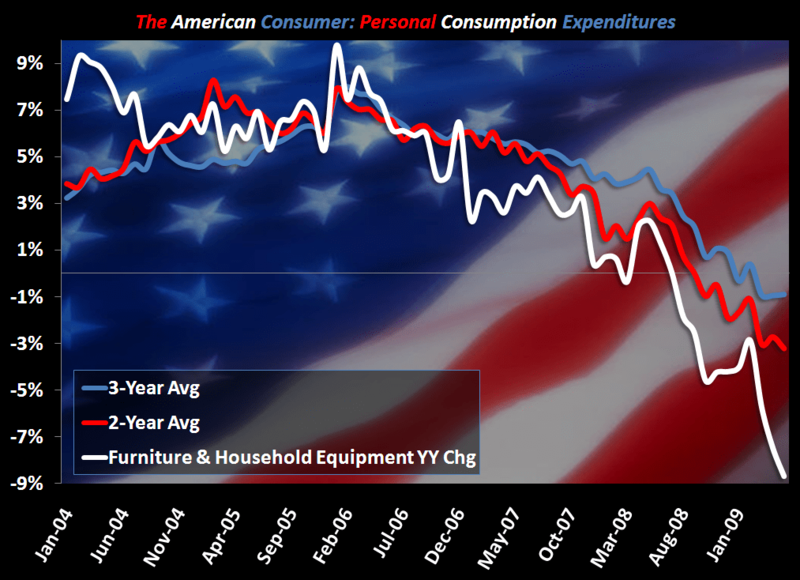 Consistent with anecdotal evidence that the home category continues to improve, the government data supports commentary from the horse's mouth. Now what does this mean for BBBY? - BBBY has demonstrated substantial outperformance and market share gains in both positive and negative environments. The 2001-2002 spread is just about the same magnitude as the 2008-present spread. 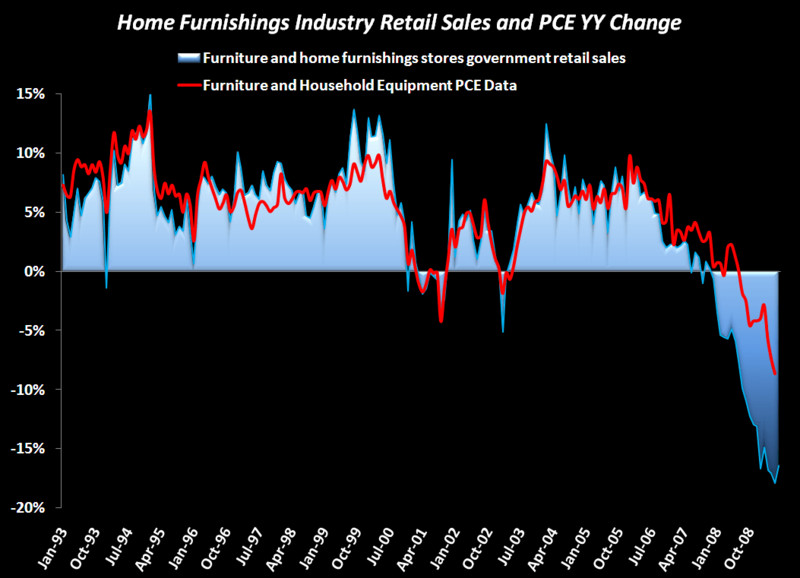 I would chalk up the earlier period share gains to aggressive store growth and the original "category killer" positioning. The latter is part Linens, part independents going away, part overall superior execution. - When looking at the big picture, the longer term chart clearly indicates a positive inflection point in what appears to be the worst period for the industry in a decade. 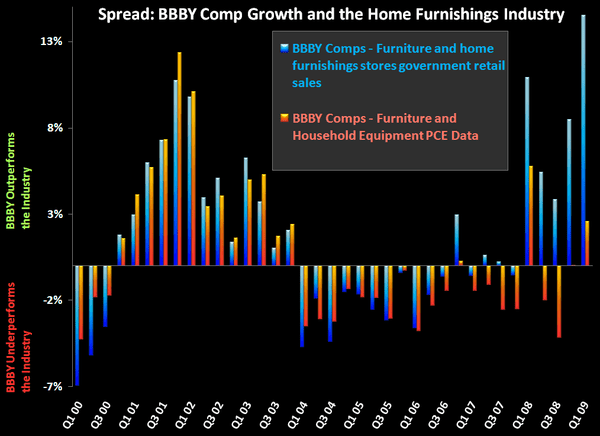 Even more interesting is how BBBY underperformed the industry when the housing boom was at its best. This to me further indicates a point I have made in the past that BBBY is much more consistent than people think. - Finally, the 3 year trend on PCE for home furnishings has finally turned. This delta is notable albeit just a very minor inflection point. 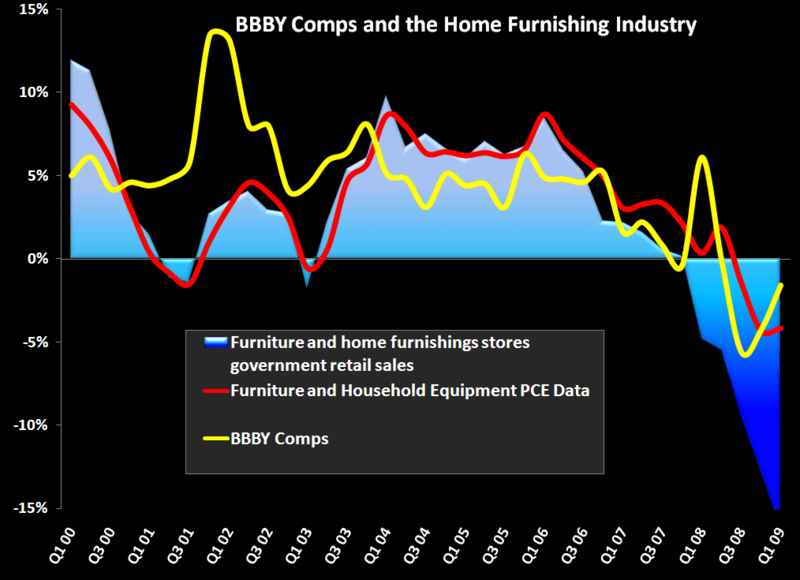 With BBBY already showing acceleration in comp trends versus the overall industry it isn't far off to assume positive comps by year end. The worst comp in the past 10 years was in 4Q08. Yes we know all of this already, but this momentum has legs and profitable ones at that. Remember, the key here is a more rational competitive environment with BBBY regaining control of its promotional destiny. Less coupons=profitable market share gains.